A wide range of exciting Addo adventure activities allow you to explore the amazing wildlife at Addo Elephant National Park in a variety of adventurous ways, turning each wildlife encounter into a thrilling experience. Third largest of South Africa's national parks, the Addo Elephant National Park Park can be found hidden away in the dense bushveld vegetation of the Eastern Cape. 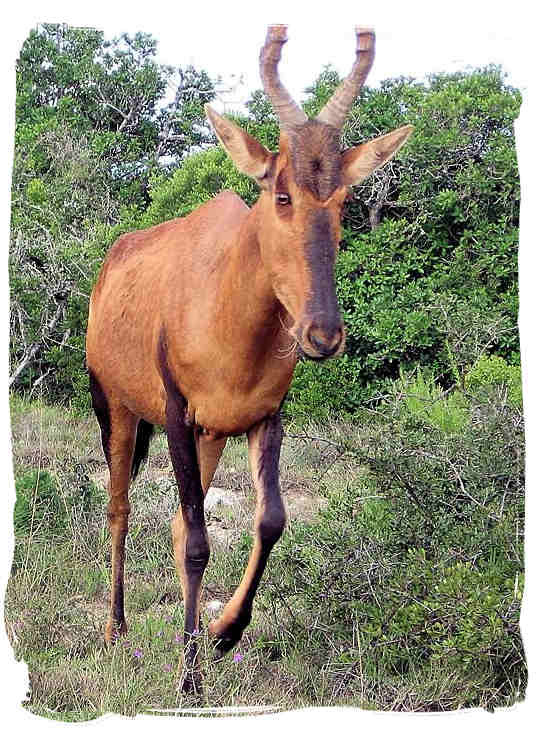 The Addo National Park has an a la Carte restaurant and a swimming pool, the latter is open to residents only. Go on a guided night drive or watch the animals as they frequent the waterholes during the day. The four-hour Spekboom day trail is set within the botanical reserve area, fenced off from the Elephants. The Zuurberg area, some 17km from the camp, offers opportunities for horse riding as well as two nature trails. There are a number of game drive options available. Day, sunset and night drives of approximately 2 hours in duration are on offer. Drives are conducted by knowledgeable, qualified guides in open-top land rovers or trucks. Bookings are essential. It is advisable to book drives in advance, particularly in the high season (October to March. Times of departure vary according to season – please check with the game drive office beforehand. Children under the age of 6 years are not allowed on these drives. Children under 12 years pay half price. Departing 06:00 (summer) or 07:00 (winter) - dress warmly and watch the bush come alive for the day. Lions may still be active from the night’s hunting, buffalo may be seen and kudu are plentiful. 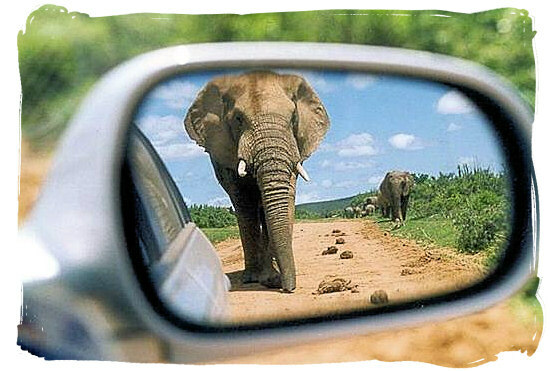 Departing 09:00, 12:00 and 15:00 – viewing may include herds of elephant, antelope, zebra , warthog and ostrich. Departing 16:00 (winter) or 18:00 (summer) – enjoy late afternoon viewing, snacks & drinks as the sun goes down and then some night time viewing – black rhino, buffalo, lions and antelope may be seen. Departing 18:00 (winter) or 20:00 (summer) – dress warmly and discover the secrets of night time in the bush: springhares, porcupines, genets and polecats are seen with sightings of lions and elephants a possibility. The Addo and Zuurburg Horse Trails are suitable for riders of all competencies through a range of habitats. Various hiking options range from a one-hour trail, suited for those who want a sedate walk, to the 4 hour Doringnek Trail and the 2 day Alexandria Hiking Trail for the more adventurous. The PPC Discovery Trail is a short walk through the valley thicket where you can learn more about the plants and animals of this region. The first loop is suitable for visually-impaired and wheelchair-bound visitors. A picnic and "braai" (barbecue) area is situated near the waterhole in the main camp. The waterhole is floodlit at night. Ride the Bedrogfontein 4 x 4 trail between Kabouga and Darlington and immerse yourself in breathtaking views and early 20th century history. Imagine the perseverance of the early pioneers who traveled by wagon over these rugged mountains. This route was the scene of fierce battles between the British and Afrikaner troops during the Anglo-Boer war.